The Sovereign Man podcast is devoted to giving you insight on how to enhance your personal liberty and financial prosperity. Listen in as Simon Black and guests such as Peter Schiff and Jim Rickards talk about the fraudulent monetary system, gold, how to secure your future prosperity, and more. For those who are new to podcasts, a podcast is just like a radio show or an audio blog post. Each week, Simon releases a new episode in which he dives in to current economic and political developments in the context of highly enlightening historical examples, key trends to look out for, and the best steps you can take to maximize your freedom and prosperity. You know you won’t want to miss an episode, so be sure to subscribe so that the latest episodes are automatically downloaded to your device without requiring any extra effort. Here are some of the easiest and best ways to do just that. Depending on when and how you like to listen, you can get Sovereign Man on your phone (iPhone, Android) or on your computer (through iTunes, or just by clicking on the podcast section of Sovereign Man). Make sure you have the latest version of iOS installed on your device, and that you are connected to Wi-Fi or a cellular internet connection. Open the podcast app on your device. Search for “Sovereign Man” in the podcast app and tap it to open the podcast episode list. If you’d like to listen to a previously published episode, simply tap on that episode and enjoy! Scroll down for a list of our previously published episodes, select one, and play! Click on the episode you’d like to listen to and press the play button. Open iTunes on your computer or click here. 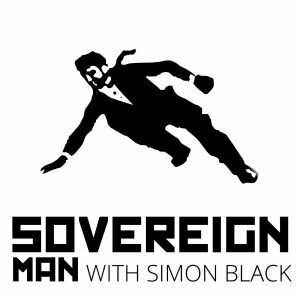 Under the podcast section you will see Sovereign Man with Simon Black— click on it. Select from our list of any previous episodes you’d like to listen to, click play on that episode, and enjoy!